No Breakthrough on US Import Duties at G7: The countries of the G7 have not been able to make agreements about the import duties that the United States has recently forced on the other states. However, it has been agreed to stay in conversation with each other. The leaders of Germany, France, Great Britain, Japan, Italy and Canada showed Trump in the common talk in Quebec in Quebec all the figures showing that the US import levies are inadequate for trade. Trump replied to his conversation partners by coming up with their values to prove the contrary, reports FOX News Point. After the big conversation, Trump met with French President Emmanuel Macron and Canadian Prime Minister Justin Trudeau. After the conversation with Macron, both leaders seemed carefully optimistic about possible other arrangements. “Something is going to happen, I think something positive,” says Trump. 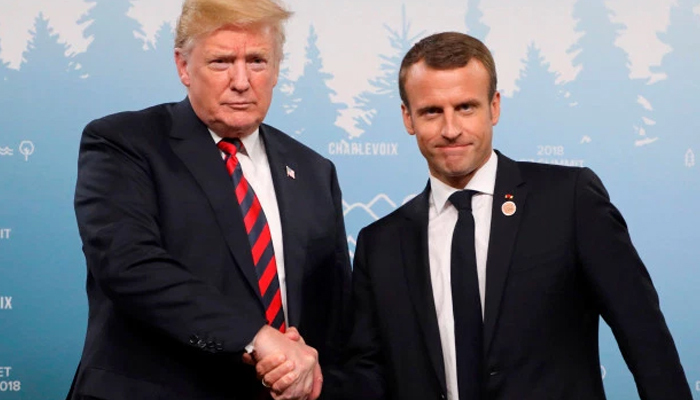 A French envoy who attended the meeting said that within two weeks there would be talks between the US and the European Union about the levies. Trudeau and Trump mainly talked about a new NAFTA after Trump stepped out of the old agreement with Canada and Mexico. For Trump, it was a tense meeting. The plenary session and his private conversations with Trudeau and Macron were all tight, people who were present during the talks said. Macron and Trump appeared to be good friends last month during a state visit by the French president to Washington. During the G7 there was not much left of that friendship since both presidents were opposed. Previously, Trump stated that he thinks that Russia should also take part in the talks again. Italian Prime Minister Giuseppe Conte said he knew what to do. The other leaders do not. Russia also let itself know nothing to see in a return to the G7, which would be the G8. “We are currently working on other platforms,” said a spokesperson for the Ministry of Foreign Affairs.